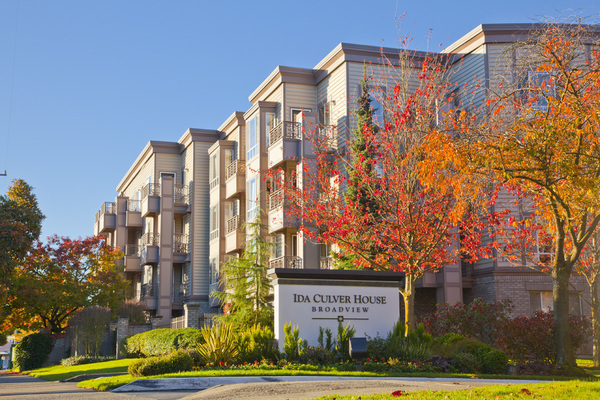 Ida Culver House Broadview offers independent living services for seniors, assisted living care and skilled nursing care as well as secured dementia and Alzheimer’s c are. Our residents enjoy spacious cottage or apartment accommodations. Our community features a library, pool, lake views, a dining room, an activities room and plenty of educational programs. We've been at ICHB for 18 months. The staff is very friendly and reasonably competent. The worst thing is the kitchen. The food is bland, bland, bland; and on takeout, minimally related to what was ordered.